Caps dates from 1882 from a wedding gift of an acre of land. The newlyweds / first citizens were Ira and Anna Rollins Borders. The town was granted a post office under the name Border’s Chapel in 1894 but it closed by 1916 when mail was routed through Abilene. According to local legend, the name was changed to Caps during a meeting held to select a new name. One resident threw his cap up into the air and said "Let's call it caps." Sadly, no one suggested anything better and thus the name was changed. By 1920 the community had a school, two churches, a gin, two stores and a blacksmith. 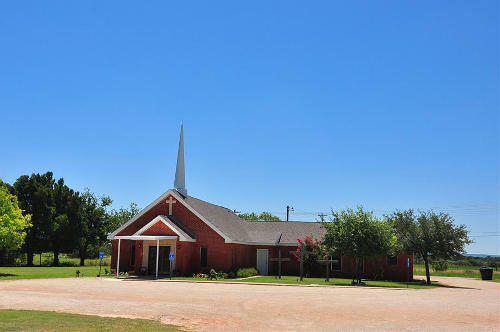 In 1935, Caps and neighboring View, Texas built a school halfway between the two communities. 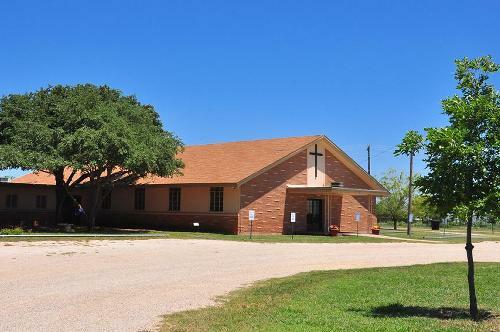 It managed to survive the school consolidations after WWII but finally merged with Wylie schools in the late 1970s. 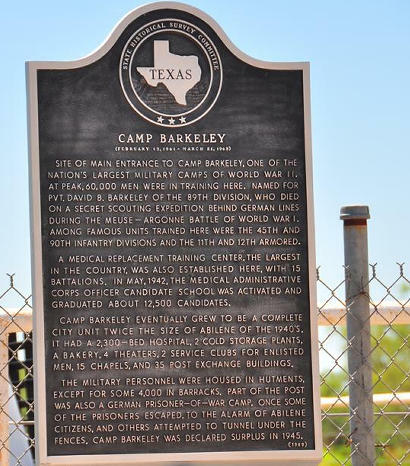 In 1940, Camp Barkeley opened which drew the community toward the highway. After the war the base reverted to a cattle feedlot. In the early 1950s, Dyess Air Force Base was opened. From a mere 20 residents in the mid 1930s, Caps reached a population of 125 after WWII, fell to less than one hundred in the mid 1960s and peaked at 300 in 1985. Abilene annexed part of the town in the 1980s, dropping the population to 100 where it has remained for the 2000 census.